EAGALA Model Equine-Assisted Psychotherapy and Equine-Assisted Personal Development is experiencing rapid growth around the globe. Why? In two words. STRONG OUTCOMES. The EAGALA Model is a DISTINCTIVE EXPERIENCAL FRAMEWORK designed to allow clients latitude to discover, learn, and grow from the HORSE-HUMAN relationship. Solution-Focussed. 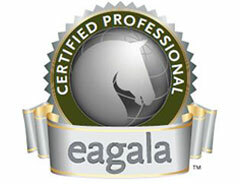 The EAGALA Model utilises horses as metaphors to help clients access their own solutions to life challenges. A team approach. Under the EAGALA Model all sessions are directed by a facilitating team certified in the Model. This two-person team includes a registered, credentialed mental health professional working with a credentialed equine specialist to assure the highest standard of care. A strong code of ethics. EAGALA’s standards outline professional requirements for both members of the credentialed facilitating team, ensuring the emotional health of the client. The experience occurs on the ground. Clients engage with horses on the ground. Riding is not part of the EAGALA Model, making it safe and effective. Working directly with horses on the ground enables clients to better perceive the horse’s actions and reactions as they work to process and solve life challenges. Translates emotional and social insights into action. The EAGALA Model is a solution-focussed modality leveraging the horse’s universal language, size, and expressiveness to help clients recognise patterns of behaviour and learn experientially to affect change. Foster resilience in times of high stress. The sessions re-create life experiences, including those involving frustrations, high stress, and relationship problems. This provides opportunities to discover personal resources and strengths to overcome perceived obstacles to change. Break through barriers to care. Clients challenge themselves in activities with horses that remove much of the perceived stigma associated with traditional talk therapy methods. Horses don’t have biases which helps clients of all population and cultures feel emotionally safe in sessions. Increase engagement. EAGALA Model sessions are about “doing”. 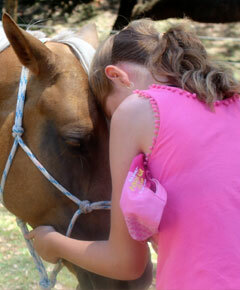 The process involves movement, physical activity, and relationship-building with the horses. This results in the process being more engaging, and engagement increases impact. Clients repeatedly report how quickly and deeply they get to the bottom of their issues, including clients who have been identified as treatment resistant. Find real world solutions to life’s toughest challenges. Clients find their own solutions to the struggles in their lives. Under the direction of a credentialed EAGALA team, clients build on their resilience and learn through self-discovery the changes they need to make in order to be more successful in life. The unique qualities of the horse quicken social and emotional breakthroughs. This is especially true for those affected by trauma. That’s because horses are highly attuned animals that offer safe reflection and compelling feedback for fears and anxieties clients may be facing. In the hands of a skilled EAGALA team, the horses’ unique sensitivity can help clients understand their own internal processes more readily that hours of talk. Herd dynamics can help clients understand their own lives. Observing the dynamics within a herd of horses can help clients better understand the dynamics of their own family, team, and community, providing a positive model for collaboration, support, and trust. Horses are living, breathing metaphors and powerful stand-ins for the client’s greatest life challenges and their most important systems of support. The EAGALA Model overcomes the REALITY of unresolved challenges and traumas. In 2015, 4 million Australians report having a mental or behaviour disorder. 11.2% of the Australian populations – 2.6 million people – experience anxiety. 9.3% of the Australian population – 2.1 million people – are affected by mood disorders, including depression. One in twenty Australians report they experience both anxiety and a mood disorder. Around two-thirds of people with Autism, Attention Deficit Disorder/Hyperactivity, and other developmental disorders requiring assistance report having an unmet need for formal assistance. Clinical evidence and generations of human experience show that horses have a special ability to help people work through emotional and social barriers without shame or stigma. This is especially true and valuable for people who suffer the effects of trauma and other mental health or behavioural problems. A highly trained mental health professional and equine specialist puts the horses’ unique sensitivities to work, where the horses’ special capacity to read and respond to peoples’ non-verbal signals and cues often lead to powerful emotional/social breakthroughs and life-changing insights. With over sixteen years in the field. The EAGALA Model is tested and subject to ongoing study and development, with a growing body of evidence supporting its quality of practice, outcomes, and efficacy. EAGALA has an ongoing commitment to building the body of evidence based on peer-reviewed research. Currently, there are over 4,500 EAGALA members across 50 countries.